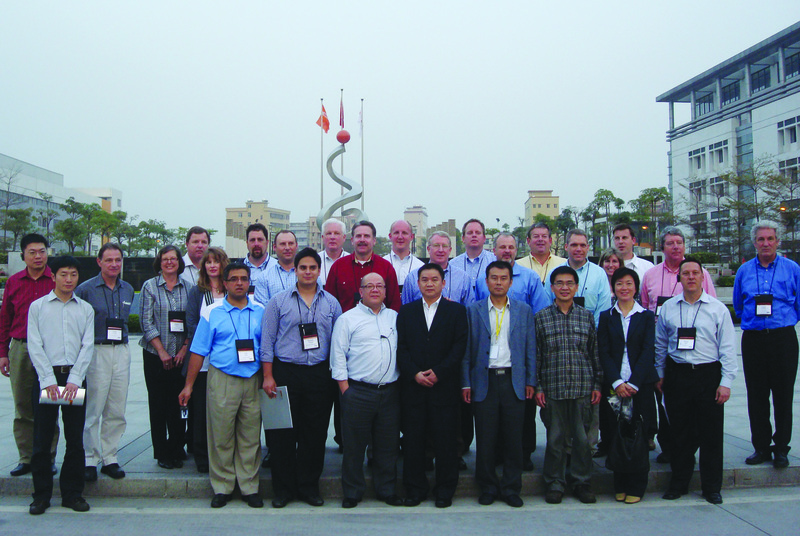 Editor's note: This is the second installment of Wood & Wood Products' Editor-in-Chief Karen Koenig's travel blog, chronicling her ongoing visits to Chinese wood products plants as part of a delegation of U.S. woodworking executives. I continue to be surprised by the furniture manufacturing practices at companies in China. 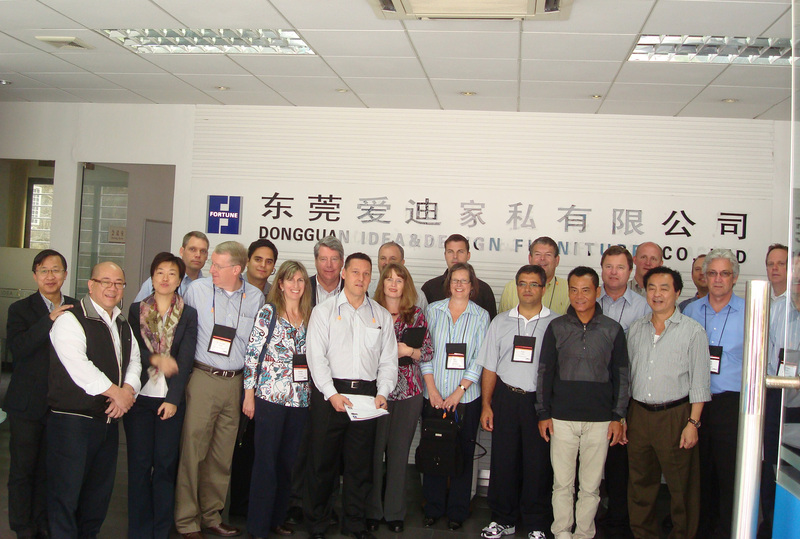 Following our visits to Kinwai and Oppein, on Tuesday the participants on the Tour of Technology to China visited Hong Kong Royal Furniture and Sogal Furniture (Sofia). Going on this week, the Tour of Technology to China is sponsored by Stiles Machinery in conjunction with Homag China Golden Field Ltd. While in general the plants we've seen are run much like the high production facilities in the United States, some differences we've noticed so far is that, for the most part, there is a lack of some basic safety equipment required in the U.S., namely eye protection, machine safety guards, etc. Also of note is the general "dimness" of lighting in many of the plants we've visited so far. While I suspect this is to save money, a number of people on the tour commented that it makes it harder for conducting quick QC inspections while on the production line. What follows is a recap from Tuesday's two plant tours. Based in Xaincu, Zengcheng, Guangzhou, Hong Kong Royal Furniture is the largest domestic distributor of residential furniture, producing panel-based furniture, solid wood furniture, sofas/upholstered furniture and mattresses. It posted sales of more than $100 million in 2010 and employs between 4,000 and 6,000 people (seasonal changes/turnover) throughout the five production facilities spanning 3 million square feet of space. A point of interest: Royal Furniture is renown as having been the official home furniture exclusive supplier at the 2008 Olympics in Beijing. Certified ISO 9001, the company’s products cover the full spectrum of price points. Intricately carved, high-end furniture with hand-painted details can be found in the same showroom along with veneered and laminated furniture targeted for the mid-range price point. With 5 to 8 percent of the company’s sales from exports, the company is looking for growth in that area, says Michael Chan, export and project director. While the company does not currently export to the United States, it is looking to gain a presence in the market, he adds. 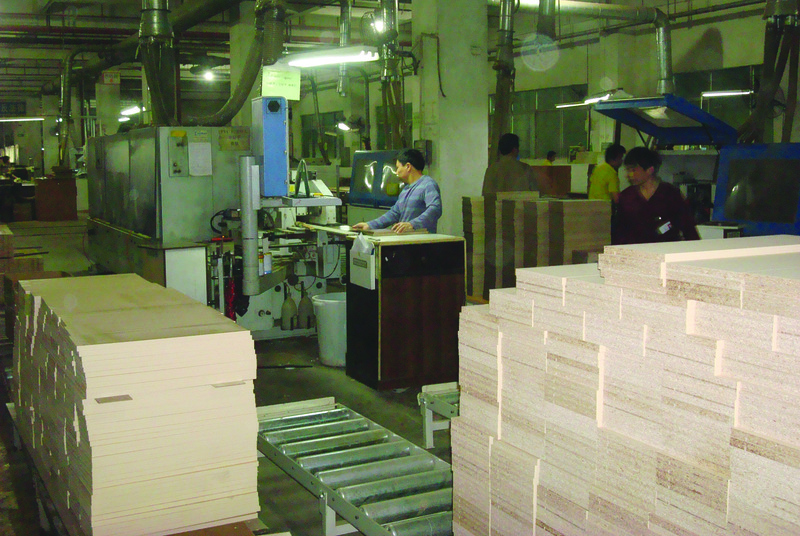 The panel-based furniture is the line targeted to best help grow the company’s exports. To manufacture the products, Royal Furniture uses a combination of high-tech machinery, including Holzma saws, Homag edgebanders and Weeke CNC machining centers, in combination with handcraftsmanship. 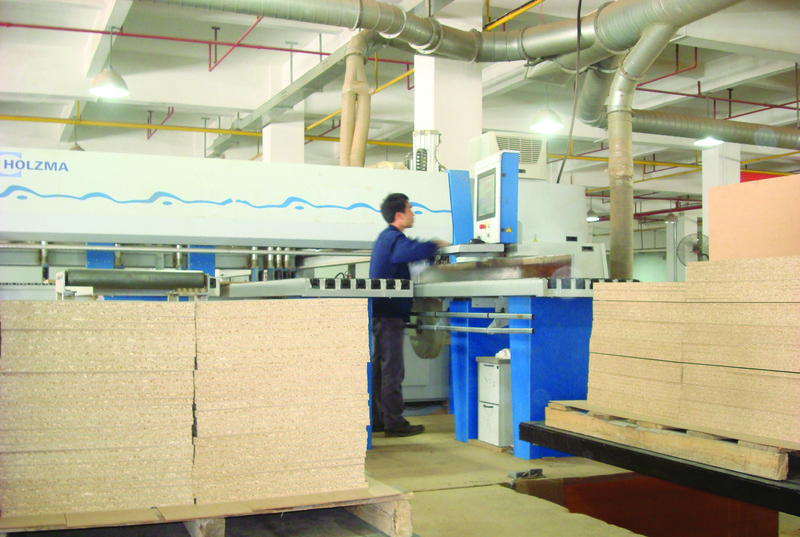 As one example of the company’s dichotomy of operations, on the floor just above the CNC work cells, more than 60 workers spend their time literally hand laminating the specialty designs (i.e., parquet looks), as well as all curved and narrow parts that would not otherwise by pressed on the laminator. Chan says he expects both domestic and international markets to pick up in sales. To ensure they are ready, Royal Furniture is already at work with plans to build additional production facilities in northern China. Closet construction at Sogal Furniture/Sofia Furniture Co. Ltd. 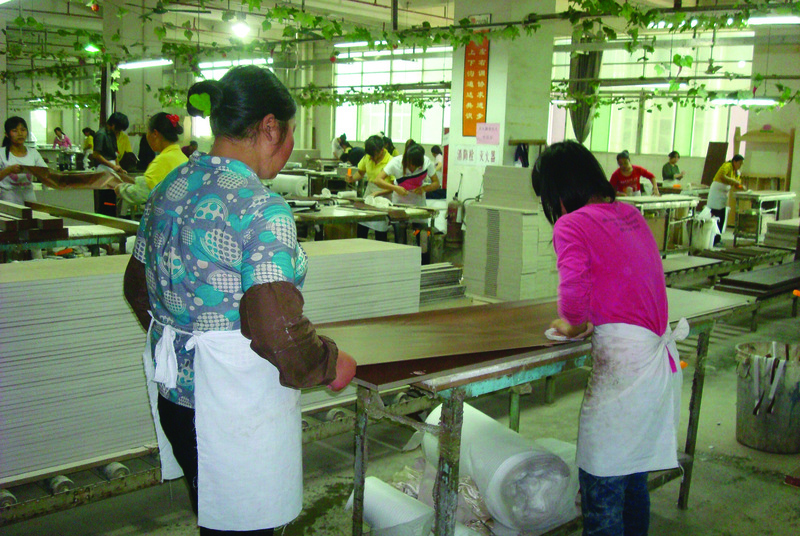 Founded in 1981, Guangzhou City, Guangzhou-based Sogal Furniture produces both laminate flooring and custom closets/wardrobes at its 300,000-square-foot facility. Overall, the company employs 1,600 at the facility, with 1,300 producing the custom wardrobes and 300 manufacturing the company’s line of EFloor. The company has a reputation for being the number one brand in China for custom-made Sofia Sogal wardrobes. Sofia Furniture Co. Ltd. was established approximately 10 years ago as a joint venture between Sogal Furniture and Sofia, based in France. 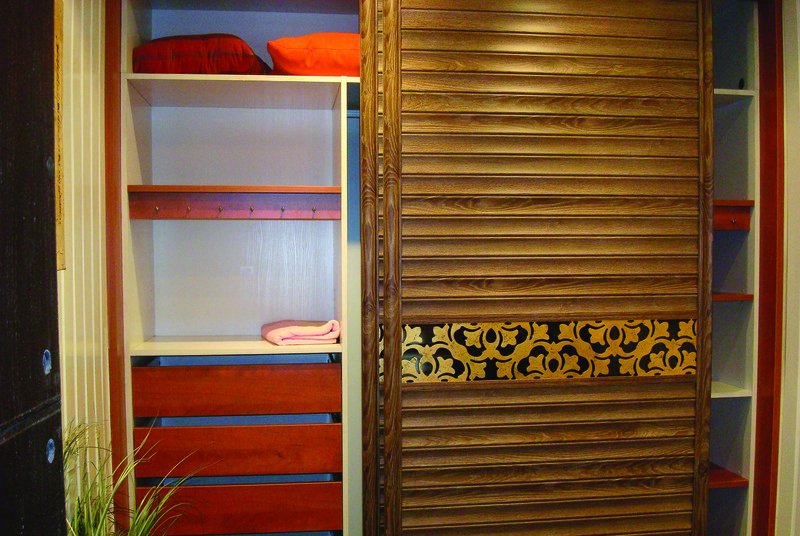 The Sofia line of custom closets/wardrobes can be found in 7 percent of all Chinese homes, the company says. According to Chen Guo Wei, the majority of the product produced is for domestic consumption, with less than 5 percent of sales — $90 million in 2010 — from exports. The company presses in-house both the panels for the flooring and Sofia lines. Although the Sofia wardrobes are custom, there are a number of standard products as part of the line. Average turnaround time on the wardrobes is 10 to 14 days. The entire factory is computerized, says Yang Jun Kui. 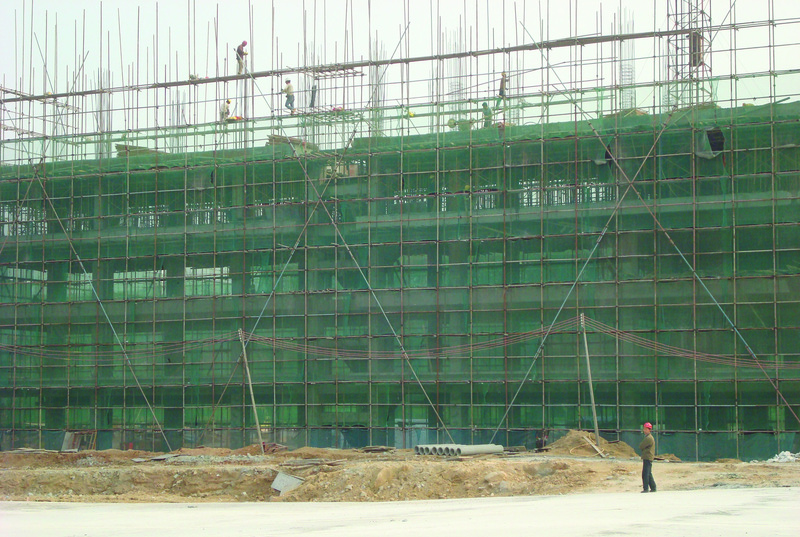 Currently, the flooring production is located in the same facility as the casegoods construction, though the company is in the process of building a new factory on the grounds that will house the flooring equipment. To manufacture the wardrobes, Sogal has at the facility Holzma saws, including an HKL that will cut to size both the length and widths of books of MDF for standard parts. 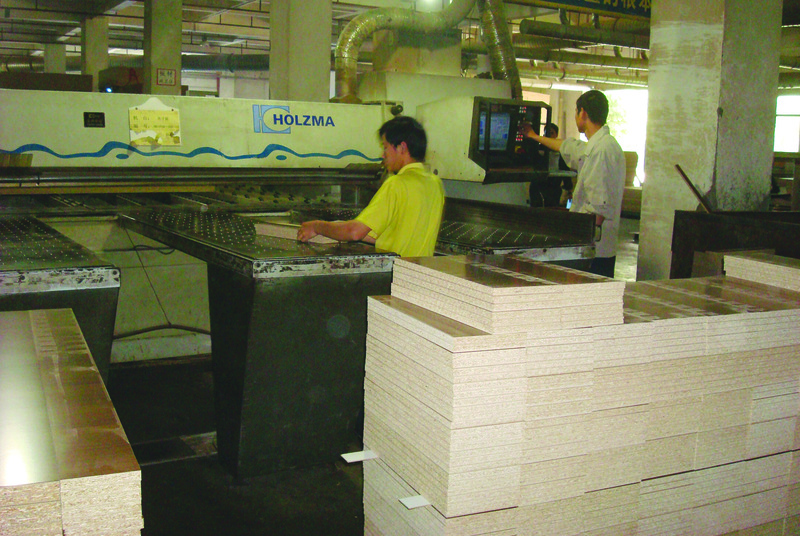 Nearby, banks of single Holzma HPP saws cut the parts for the custom wardrobe components. All parts are barcoded for improved manufacturing. Next, the straight-edged panel parts are edgebanded on Homag and Brandt single-sided edgebanders. Drilling of holes and other machining is performed on a variety of Weeke CNC machining centers, including a recently purchased BHX. 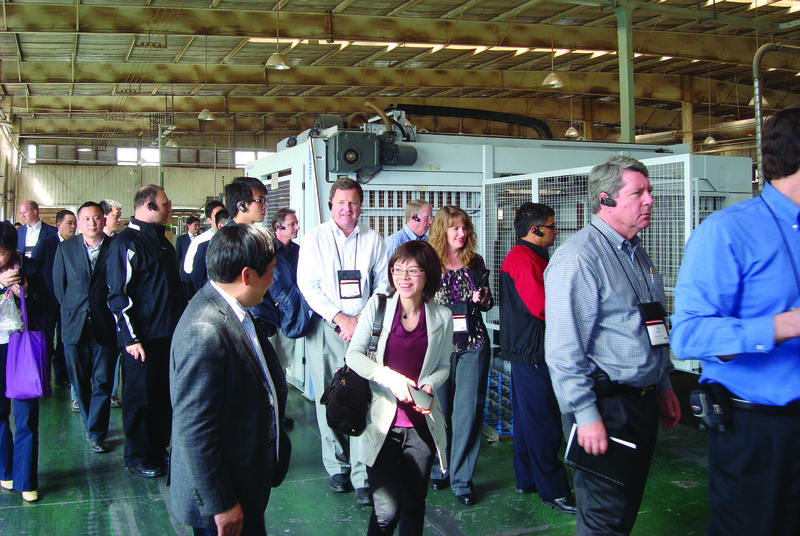 Stiles Machinery sponsored the tour in conjunction with Homag China Golden Field Ltd. The tour began on Saturday, Feb. 26, and runs through Saturday, March 5. Among the companies to be toured are: Kinwai Furniture, Oppein (see picture below), Sogal, Royal Furniture, Fortune, Decca and Mingzhu Furniture.